The Kambojas are a very ancient people of north-western parts of Indian sub-continent (Central Asia). They find frequent mention in the ancient Indian texts, although not in the Rig Veda. They spoke a language in the Indo-Iranian branch of the Indo-European family of languages. Not only did they earn a great reputation as a forrmidable Kshatriya force (nation-in-arms) since remote antiquity, but also there exist plenty of evidence and references which strongly verify the Brahmanism and scholarship of the Kamboja people. Thus, besides excelling as fierce and wrathful warriors in ancient wars, the Kambojas had also greatly distinguished themselves in the field of art and science by becoming great Scholars and Teachers of the Vedas. The Kambojas and the Vasishtha Brahmins to wear one choti (lock of hair) on right side of their head. The Atris and Kashyapas to keep chotis on both sides of their heads. The Bhrgus to shave off their heads. Angris gotra Brahmins to keep five chotis. Bajaneys Gotra Brahmins to keep only one choti. Rest of the Brahmins to keep chotis according to their respective traditions and religious customs. This reference in Paraskar Grihyam-Sutram lists the Hinduised Kambojas at par with the Vasishthas and it further shows that the Kambojas and Vasishthas supported one sikha or choti on the right side of their head. 1. The Kambojas were socially and culturally related to the Vasishtha family. 2. The Kambojas must have been very distinguished scholars of the Vedas so as to be ranked and listed at par with the Vasishthas, who are considered the cultural heroes of Vedic India. The 33rd Hymn of the seventh Mandala of Rigveda which is connected with the Vasishtha family verifies that the Vasishthas wore white robes and also supported a choti on the right side of their head . Obviously, the same dress-mode also applied to the Hindused section of the Kambojas who had pursued Brahamnical profession. There is a reference to Kamboja Aupamanyava in the list of ancient Vedic teachers given in the Vamsa Brahmana (1.18-19) of the Sama Veda. This sage was born in the Kamboja family, hence was called Kamboja. He was called Aupamanyava since he was the son of Upamanyu. Vamsa Brahmana further informs us that sage Anandaja had received his Vedic learning from sage Samba, the son of Sarkaraksa, as well as from the Kamboja, the son of Upamanyu. But it is not clear under what circumstances sage Anandaja had received the Vedic lore from two teachers as one teacher was the usual rule. One can only be certain that they both must have been very special. From the order in which the names are given, Samba appears to have been the first teacher and later the Kamboja teacher had been approached, perhaps because the latter was marked by some special pre-eminence in Vedic learning . It is further notable that both the teachers of sage Anadaja i.e. sage Samba Sarkarksa and Kamboja Aupamanyava, had received their own education in Vedic lore from one and the same teacher i.e sage Madragara Sangayani who belonged to Madra people. This connection between the Madras and the Kambojas is but natural as they were close neighbors in the north-west. These Madras have been referred to as Uttara Madras in Aitareya Brahmana and are stated to lie across the Himalaya i.e Hindukush range . Prof Przylusky has shown that Bahlika (Bactria) was an Iranian settlement of the Madras who were known as Bahlika-Uttaramadras. Scholars have identified sage Upamanyu mentioned in the Rig Veda as the father or ancestor of Aupamanyava Kamboja . 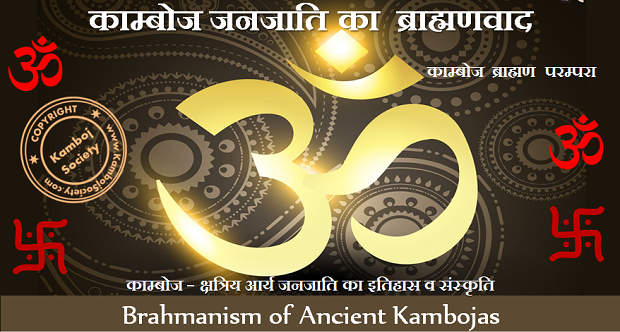 The outstanding feature of the above discussion is that the Hinduised Kambojas were marked by pre-eminence in Vedic learning and their seers and teachers had found important place in the list of the great ancient teachers by whom the Vedic lore was kept up and handed on to the future generations. According to the genealogical tree presented by Pt Purshotam Lal Bhargava in his book "India in The Vedic Age" , sage Upamanyu was son of sage Vasu who was son of Indra-Pramati who, in turn, was son of sage Vasishtha. Sage Agasti and sage Vasishtha were brothers and were sons of Mitra-Varuna. Sage Kaundinya was son of Vasishtha and nephew of Agasti. Thus we see that if sage Aupamanyava Kamboja was indeed the son or descendant of the Rig Vedic sage Upamanyu, as several noted scholars now agree (see above), then one can see a direct lineal connection between the Vasishtha clan and the ancient Kambojas. This lineal connection may be true or not, but an intimate cultural and religious connection between the Vasishthas and the Kambojas is indisputable. This may verify the Kamboja connections with the Kaundinyas (who were also Vasishthas), the supposed founders of Funan colony in Indo-China. It is possible that the Kaundinya of the Cambodian legends may have been a Kamboja Kshatriya from south-western India i.e.Gujarat/Saurashtra whom the Kaundinya brahmins would have acted as purohits. In other words, Kaundinya may have been the gotra of the Kamboja family which had founded the ancient kingdom of Funan. It is noteworthy that the gotra of a Kshatriya is taken to be same as the gotra of his purohit or priest. And lastly, sage Swayambhuva Kambu, the legendary founder of Kambuja colony in Indo-China north of Funan, to all probability, was a Brahminised Kamboja i.e a learned Kshatriya chieftain of the Kamboja clan if the legend of Kambu-Mera is at all to be believed.. According to scholars, sage Vasishtha and his clan belonged to Iran . And the Kambojas were also predominantly an Iranian clan (See: Language and ethnicity of Kambojas). The ancient Puranic traditions like Bahu-Sagara vs Haihaya-Taljunga wars in Kosala  also corroborate very close connections of the Kambojas with the Vasishthas. How closely the Vasishthas were connected with the Kambojas is also apparent from the Valmiki Ramayana which talks of the creation of the Kambojas etc by sage Vasishatha through the divine powers of his Kamdhenu. The creation story specifically refers to the Kambojas as ravi.sannibha i.e the Kambojas illustrious like the Sun. From ancient Sanskrit texts we learn that the Kambojas and some other allied Iranian tribes come again and again to the aid of the Vasishtha clan. It therefore, appears probable that Vasishthas may have acted as Purohits/religious teachers to the Kambojas and the latter may have regarded them as their spiritual guides or gurus . It also appears certain that the Vasishthas were chiefly responsible for the learning and scholarship among the ancient Kambojas. Yasaka in his Nirukta (2/2) observes: "....primary forms of vedic nouns alone are employed (in speech) among some people; secondary forms among others. The verb shavati, meaning "to go", is used by the Kambojas only......Its modified form shava is used by the Aryans"
Commenting on the above Nirukta of Yasaka, distinguished Prof Roth as well as another German philosopher Dr J. Muir suggest that this Nirukta (2/2) also proves the fact that the ancient Kambojas were Grammarians and Linguists i.e. Language Specialists. Sage Aupamanyava referred to in the Vamsha Brahmana of the Sama Veda was himself a great Linguist and Grammarian. 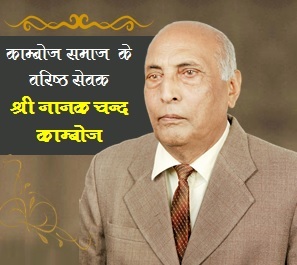 Yaska Acharya has quoted his views with respect more than a dozen times in his Nirukta. Sage Aupamanyava is also stated to have authored one Nighantu--a collection of Vedic words.. According to Pt Bhagva Datta, Dr G. Opart has referred to one Nirukta whose authorship he attributes to Upamanyu. . But according to scholars like Bishnupda Bhattacharya and Dr J. L. Kamboj etc, this Nirukat Upamanyu of Dr G. Opart is probably teacher Aupamanyava of Yasaka's Nirukata . The above discussion obviously proves that besides being Vedic teachers, the ancient Kambojas had also distinguished themselves as pre-eminent Grammarians and Linguists in ancient India  and sage Aupamanyava Kamboja was indeed a distinhuished Nairukata of Sanskrit. The Southern Indian recensions of Ramayana make a reference to a Kamboja sage known by his tribal name Kambhoja. Sage Kambhoja had his hermitage set up in the Dakshinapatha or Southern division of ancient India. Shri Rama, Lakshmana and Mata Sita had paid visit to his hermitage from where they had proceeded further to Panchabati in the Dandakaranya forest area. The king kite bird Jatayu, a devotee of Shri Rama, had met them at Panchabati with deep love and devotion. It appears probable that this Kambhoja sage had moved from Afghanistan region to Dakshinaptha in the wake of Aryan expansion under sage Agasti in southern India. Sage Agasti was brother of sage Vasishtha and nephew of sage Kondinya or Kaundinya. Another ancient source which powerfully attests the Brahmanism of the ancient Kambojas is non else than the great epic Mahabharata itself. A. The following evidence from Mahabharata amply attests that, besides being fierce warriors, the Kambojas were also noted as the learned people (Kritavidyash =Vedic Scholars). "Those other car-warriors with golden standards, O king, whom you see, and who, like the wild elephants are difficult of being resisted, they are called the Kambojas. They are brave, a learned people and are firmly devoted to the science of weapons. Desiring one another's welfare, they are all highly united and mutually cooperative. They constitute a full Akshauhini of wrathful warriors". B. The epic Mahabharata unequivocally attests that the ancient Kambojas were very prominent republican people. Several Ganas (or Sanghas) of the brave and accomplished Kamboja warriors (Kambojana.n cha ye Ganah.....sangrame shura sammatah) are said to have had participated in the Kurukshetra war on the side of the Kauravas. Besides, it is also known from Kautiliya's Arthashastra  as well as from the thirteenth Rock Edict of king Ashoka that the Kambojas were very important republican people of Mauryan times. Even the Ashtadhyayi of Panini  seems to attest that the Kamboja king was a mere "consul" and that the Kambojas, in reality, followed the republican constitution during Panini's times (Dr K. P. Jayswal, Dr J. L. Kamboj). "These Ganas (of Mahabharata) are very wealthy, heroic, well-versed in the shastras i.e are learned people and are accomplished in the art of weaponry". Thus, these two epic references sufficiently corroborate not only the Kshatriyahood, but the Brahmanism of the ancient Kambojas as well. Great ancient Sanskrit poet (Mahan Kavi) Bhaasa, who lived in third c AD is now believed to have belonged to Uttarapatha (Northern division of ancient India has). In his writings, poet Bhaasa has used very respectable expressions and epithets such as Maanniya (Reverential, Respectable etc ) or Shrimatsu (Shrimaan, Sir) etc for the Kambojas. Some illustrative examples include: Shrimatsu Kambojakulesu jaata , Maanniya Kamboja jatam  etc. These emotive expressions and venerative sentiments used by the great Sanskrit poet for the Kambojas can not be said to be without reason. This is especially so since around this period (post-Christian era), the literature of India otherwise breathes a spirit of revolt against the Kamboja people and brands them variously as Vrishalas, Mlechhas, Dasyus, Asuras and degraded people. Or else, he was patronized by some Kamboja royal house . On the other hand, "dialect of the Udichyas or northeners including the Kambojas, Gandharas and Madras etc was noted for its purity hence Brahmanas flocked to the north for purpose of study. The northern dialect resembled that of the Kuru-Panchala and superiority of the Brahmanas of the north is indicated by the victory of one of their spokeman over a Kuru -Panchala Brahmanas in a debate. The celebrity employed by north in academic matters is further corroborated by the fact that Taxila became center of learning and classical Sanskrit was first developed in Kashmir" . It is an indisputable fact of history that the Kambojas were ruling over Kashmir prior to Mahabharata war . See also: Kashmir: The Fountainhead of Indian Culture. Panini, the great Indian genius of grammar and Chanakya aka Kautilya, the Indian Machiavelli, belonged to Gandhara/Kamboja region. It is not very difficult to visualise the crucial role the Kamboj scholars may have played at Taxila University in Gandhara during epic times. The same reference further attests Acyuta Kamboja as a great Architectural Engineer . This once again indisputably attests the scholarship or the Brahmanism of the ancient Kambojas. In the early Vedic age, the Kamboja was a seat of Brahmanical culture. In the Vamsa Brahmana of Samveda, we find mention of a sage Aupamanyava Kamboja in the list of Vedic Teachers. We do not know about his real name. Aupamanyava was his paternal name i.e being Son of Upamanyu, he was called Aupamanyava. He was called Kamboja because he Born in Kamboja family or tribe.....the Rig Vedic sage Upamanyu is supposed to be father of this Kamboja teacher.. . It is surprising that, on the one hand, the ancient literature glorifies the Kambojas as very respectable warriors and a scholarly class while on the other they are also branded as barbaric and mlechcha tribe. The resolution of this problem lies in the fact that there are different layers in the ancient Sanskrit texts which represent different phases of history. The region of ancient Punjab (or Greater Punjab) which, in the Vedic period, was known as Sapta-Sindhu had comprised territories as far as Yamuna on the east and Kabol and Hindukush on the west. During early Vedic times, this region was the center of proto-Indo-Iranian civilization. With time however, a section of this population had outspread to the east into Uttar Pradesh and Bihar. Over time, the western branch which continued to stay in Sapta-Sindhu had evolved a liberal and latitudinarian attitude to life due to its constant exposures to nomadic people of Central Asia, while the eastern section had become somewhat conservative and traditional which they believed was the standard Aryan way. This had obviously shifted the center of Aryan (i.e.Indo-Aryan) civilization from Sapta-Sindhu to Gangetic valley. Nestling themselves into a small region variously called Madhyadesha, Aryavarta or Brahmavarta, the puritans shunned all contacts with the liberals of the greater Punjab whose way of life they regarded with disapproval. The varana-asharama-dharama had become a standard way of life for the Indo-Aryans in the east while this social system did not take roots among the frontier people. Buddhist texts like Majjhima Nikaya clearly attest that in the lands of the Yonas, Kambojas, and some other frontier countries, there were only two social classes i.e the Arya and Dasa, and that the change from one into the other was not frowned upon. The exigencies of life on the frontiers had nacessitated its people to primarily follow soldier's life. Further, the ruling class had also started performing the religious ceremonies and sacrifices themselves. This annoyed the priestly class whose own interests were jeopardised in this new scenario. The frontier people had also parted company with the monarchic system and switched to republican constitutions where the role of priestly class was completely eliminated. Mahabharata calls the people of greater Punjab as Rajyayaka while Ashtadhyayi of Panini addresses them as Kshatriyayaka. Accordingly, Brahmanical clergy deplored that the offerings made by these people (of Punjab) to gods go in vain( and that these people knew no Vedas, Vedis and Yajnas . Hence in the eyes of orthodox people from Aryavarta, the frontier clans of north-west had become impure, immoral and irreligious, and the contacts with them were considered a heinous offence and an inexplicable sacrilege. Since the frontiers tribes ceased to avail the professional services of the priestly class which they had started performing themselves, the irate priestly class (from Madhyadesa) started bad-mouthing Punjabis and hurling all kind of malicious words such as Mlechchas, Dasyus or Shudras etc at them. . This may explain as to why the Kambojas in some layers of ancient literature are regarded noble Kshatriyas and learned people while in others are referred to as Barbaric and Mlechcha tribes of north-west     . The modern Kamboj are divided into two divisions of 52 and 84 clans names (the actual number is however somewhat higher than these figures). Dr J. L. Kamboj observes that more than 15 of them overlap with that of the Brahmins and over 80 overlap with other Kshatriya and Rajput clans of northern India. But according to S Kirpal Singh, the respective figures are over 25 overlaping with Brahmins and over 100 overlaping with other Kshatriyas. In his well known book Glossary of Tribes and Castes of Punjab and North-west Frontier Province , British ethnographer and ethnologist, H. A. Rose, had also observed in early 20th century that there is seen an overlap of the Kamboj clan names with that of the Brahmins and other Kshatriyas. But Rose also admitted that the reason of this overlap was not clear to him . But, today with all the information provided in the articles in Wikipedia about the Kambojas, it would seem clear as to why there is such an overlap. 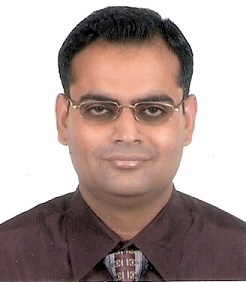 Dr Buddha Parkash observes: "Among the 84 clans of the Kamboj, the names of which are said to have been derived from names of Shiva, figure a people Maga, reminding us of the Iranian Magi and the Kamari or Khamari providing us with a probable explanation of the people of the Kamboja-desa par excellence". It is notable that the Magis were a priestly class of ancient Iraninas. Therefore, it is thought by some that the Magis were a priestly section of the Iranian Kambojas. From the above references, we notice that there seems to have been a very close connection between the Kambojas and the Vashisthas in ancient times. We also have a reference to sage Kambhoja and sage Agasti who were both living near Panchvati in south-west India during Ramayana period. Sage Kundin was son of sage Vasishtha and nephew of sage Agasti. The descendants of sage Kundin were called Kaundinyas. Like the descendants of sage Agasti, the Kaundinyas were originally from Vasishtha lineage. Scholars believe that while the Vasishthas were actively involved in Aryanising the north-west and north India, sage Agasti, sage Kundin and their descendants moved to south to Aryanise southern India. According to Dr K. A. Neel Kanth Sastri, there are numerous references to Kaundinyas in the Tamil literature as well as in the Indian Inscriptions. Kaundinya is a famous clan of the Indian Brahminas (Vasisishtha lineage). Scholars believe that once the Kaundinyas had finished Aryanisation of southern India, they had transplanted themselves to Indo-China and set-up colonies there . It is probable that sensing the exigencies of war, Kaundinyas had also taken a band of soldiers from amongst the Kambojas and Sakas with them. There are references both to the Kamboja and Saka names in the Indo-Chinese Inscriptions. The references to Saka Brahmins are found in the inscriptions of Prasat-Khna in the province MLU Peri in Cambodia (dated 1041 AD) which confirms the presence of Scythians in Indo-China. Another important word connected with this region is Kambuja which relates to the Kambojas of north-west (G. Coedes, Dr B. R. Chatterjee, Dr Buddha Parkash). Later traditions however connect this name with sage Swayambhuva Kambu and Apsra Mera which tradition seems to have been the handiwork of the patronised Brahmins (the royal courtiers) of the ruling family of Kambuja to trace or connect the lineage of the ruling family of Kambuja (Cambodia) to ancient sages. 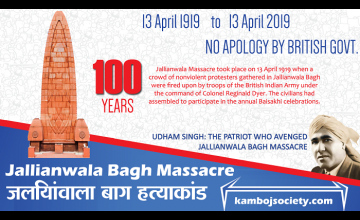 This legend may have been necessitated by the fact that around this period, the Kambojas of north-west had come to be viewed with derision by the Indian Brahmanical class and generally regarded as belonging to the barbaric and mlechcha stock. The Magi connection of the Kambojas as pointed out above by Dr Buddha Parkash and others seems to make quite a sense in the above context. Hindu Polity, A Constitutional History of Hindu Times, Part I & II, 1978, p 51-52, Dr K. P. Jayswal; Ancient Kamboja, Peooe and the Country, 1981, p 202, Dr J. L. Kamboj. Some Kshatriya Tribes of Ancient India, 1924, p 230, Dr B. C. Law; Trans of Rig Veda, III,113, Dr Ludwig; Ancient Kamboja, People and the Country, 1981, p 202, Dr J. L. Kamboj; The Kambojas Through the Ages, 2005, pp 25-26, S Kirpal Singh. India in the Vedic Age, 1971, p 186, also: The Kambojas Through the Ages, 2005, p 27-28, S Kirpal Singh. For references to Aupamanyava Kamboja in Yasaka's Nirukuta, see: Political History of Ancient India, 1996, p 134, Dr H. C. Raychaudhury, Dr B. N. Mukerjee; Also: Kamboja People and the Country, 1981, pp 204-205, Dr J. L. Kamboj; Cultural Heritage Of India, 1958, pp 292-293, Article contributed by Dr V. D. Aggarwala. Ancient Kamboja, People and the Country, 1981, p 205, Dr J. L. Kamboj; See also: Yasaka's Nairukata and Science of Etymology, An Historical & Critical Study, p 64, Bishnupda Bhattacharya. Kambhoja is the usual form found in southern Indian recensions of the Sanskrit texts. The name Kamboja indicates Iranian or Paisaci influence (See: Hindu Polity, p 55, fn20, Dr K. P. Jayswal; Comprehensive History of India Vol II, Dr K. A. Nilkantha Shastri, 1957, p 137). The ancient Kamboja, People and the Country, 1981, pp 208, Dr J. L. Kamboj. Indian Historical Quarterly, Vol IV, No 1, p 99-100. History and Culture of Indian People, the Vedic Age, p 258, Dr R. C. Majumdar, Dr A. D. Pusalkar. Epigraphiia Indica Vol I, 1892, p 247. Epigraphia Indica, Vol I, p 243. Hunas, Yavanas, and Kambojas, Indian Historical Quarterly, Vol XXVI-2, 1950, p 123, Dr S. B. Chaudhuri. Yona-Kambojaseu annesu cha panchchantimesu janapadesu dvea vanna, ayyo ceva daaso ca ayyo hutva daaso hoti daaso hutva ayyo hoti ti (Majjhima Nikaya 43.1.3. The name Mlechcha or Vrishala normally applied to the Kambojas, Sakas, Yavanas, Pahlavas and some other tribes from Uttarapatha or north-west in the ancient Brahmanical texts was the result of several reasons such as (1) their connections with horses and horse trade, (2) their connections with wool and wool-trade (3) their consumption of wine and liquor (4) the evolution of Ayuddhajivin Sanghas/Republics among the north-westerners (5) their seamanship or their overseas traveling etc. All these professions/occupations have been severely condemned in the Baudhayana Dharamasutra (e.g. Athotratah urnavikrayah shidhupaanmubhayaoddbhirvyvharah ayuddhyankam samudarsayanbhiti-see: Baudhayana Dharamasutra verse 1/1/2/4). The sixth (6) reason responsible for earning the wrath and malice of the priestly class by the people north-west, though not listed in the Baudhayana Dharamasutra, was the fact that the Sakas, Kambojas, Yavanas, Gandharas, Bahlikas and numerous other clans of greater Punjab had switched en-masse to Buddhism. The Brahmanical class of Aryavarta did not like this idea for obvious reasons. The seventh (7) reason for labelling the north-westerners, including the Kambojas as Mlechchas was the non-puritan outlook of the north-westeners as compared to the orthodox outlook of the Indo-Aryans located in Gangetic valleys. The varanashramadharama was the standard mode of life pursued by Indo-Aryans of Madhyadesha whereas two-class social pattern prevailed among the societies of the north-westerners including the Kambojas, Yavanas (see: Majjhima Nikaya, 2/149). The two class social system was considered anathema in the Madhyadesha society. Moreover, the social, cultural and linguistic admixture of the Kambojas, Sakas, Yavanas, Pahlavas in north-west was also very much despised by conservative Madhyadesha society. All these factors contributed to the downgrading of north-western societies in the conservative eyes of the Vedic orthodoxy of Madhyadesa. Cf: Punjab (greater Punjab) became a meeting place of various peoples and a melting point of diverse cultures in ancient times. Hence its society became heterogeneous and hetrodox and detracted from the standards of the conservative people. The puritans nestled themselves in the Gangetic valley and branded the Punjabis as impure and impious and shunned contacts with them. The literature of this region breathers a spirit of revolt against the people the Punjab (see: Political and Social Movements in Ancient Punjab, p 252). The Kambojas Through the Ages, 2005, p 27, 431. See: India and the World, 1964, Hoshiarpur, p 154, Dr Buddha Parkash-Chaterjee B. R.: 'A Current Tradition among the Kambojas of North India, relating to the Khmers of Cambodia', G.Coedes Felicitation Volume, p 254.